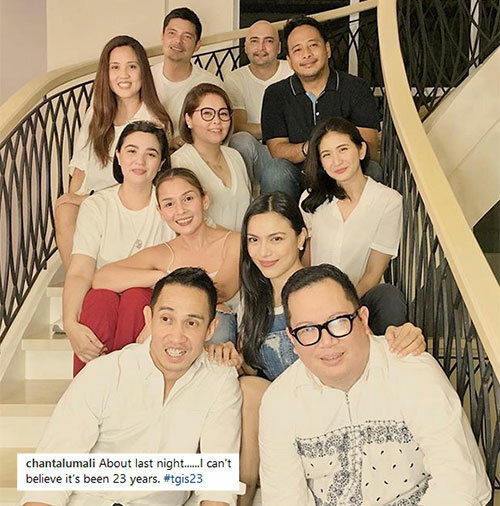 TGIS cast members reunite for their 23rd anniversary: Top row L-R: Neal Del Rosario (TGIS associate producer, who is now a teleserye director), Angelu de Leon, Rica Peralejo, Chantal Umali, Sunshine Dizon, Ciara Sotto, Kit Villanueva-Langit (TGIS writer). Bottom row L-R: TGIS batch 1 director Mark Reyes, TGIS musical scorer and batch 2 director Dominic Zapata, Michael Flores, and Dingdong Dantes. Dingdong Dantes, Angelu de Leon, Rica Peralejo, and other stars of GMA-7's defunct hit show TGIS held a big reunion yesterday, August 31. 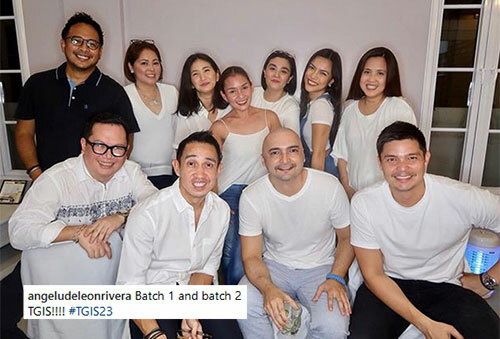 The all-white party was attended by different members of TGIS's batches one and two. 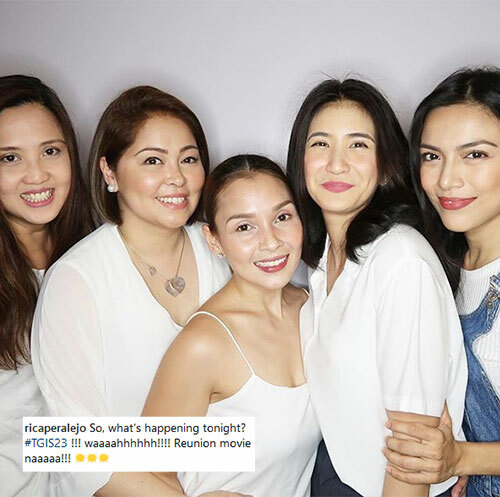 According to Michael Flores's Instagram post, the reunion was hosted by Ciara Sotto, who appeared in both TGIS batches. 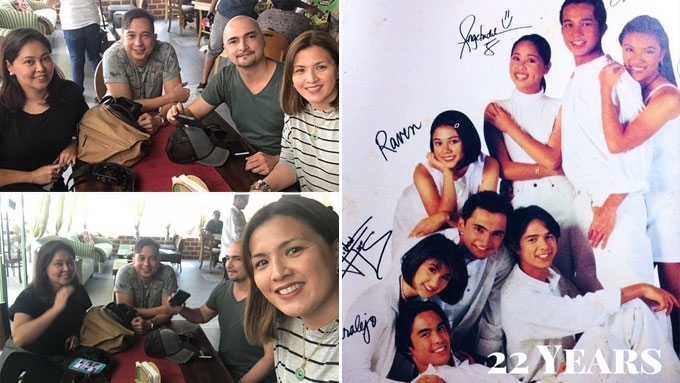 Also present at the reunion were Sunshine Dizon, former actress Chantal Umali, writer Kit Langit, associate producer Neal Del Rosario, and musical scorer and batch two director Dominic Zapata, and creator and batch one director Mark Reyes. 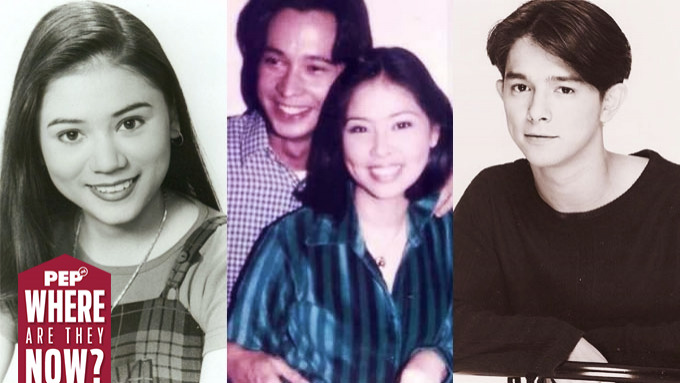 Neal, Dominic, and Mark remained as directors for GMA-7 teleseryes, while Kit served as writer and creative manager for most of the Kapuso network's drama programs. The batch 1 and batch 2 members also had their own group photos. Ciara was the only cast member who became a major part of the two TGIS batches. 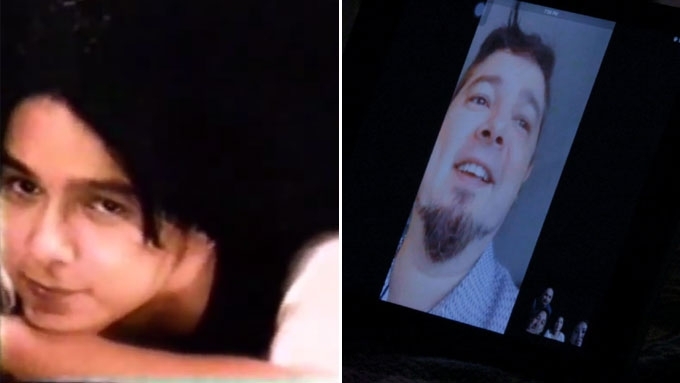 Angelu, Ciara, and Chantal also documented snaps of their reunion by posting videos on their Instagram stories. Angelu even welcomed Direk Mark and Kit while singing the first part of the song "Dyslexic Heart" by Paul Westerberg, the opening theme of TGIS Batch 1. Repost from @angeludeleonrivera: #TGIS23 reunion yesterday, August 30. Angelu's Instagram story also showed the cast members and staff watching episodes of TGIS that were uploaded on YouTube. Meanwhile, Chantal posted videos while they played the game called "Boom Boom Balloon." The reunion coincided with TGIS's 23rd anniversary celebration this year. 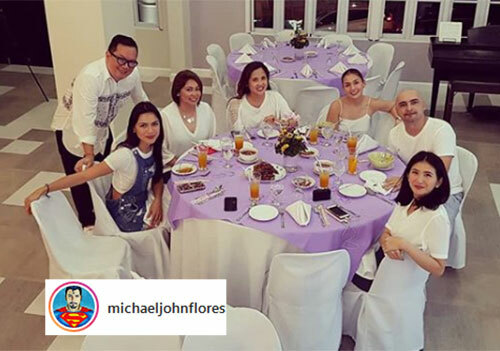 In Michael's caption, he also mentioned some of the show's stars who weren't able to make it to the party: Bobby Andrews, Bernadette Allyson, Onemig Bondoc, Red Sternberg, Raven Villanueva, Dino Guevarra, Polo Ravales, Antoinette Taus, and Anne Curtis. He also teased that a reunion project might be in the works. He wrote, "WE ARE..T.G.I.S.!!! ???? 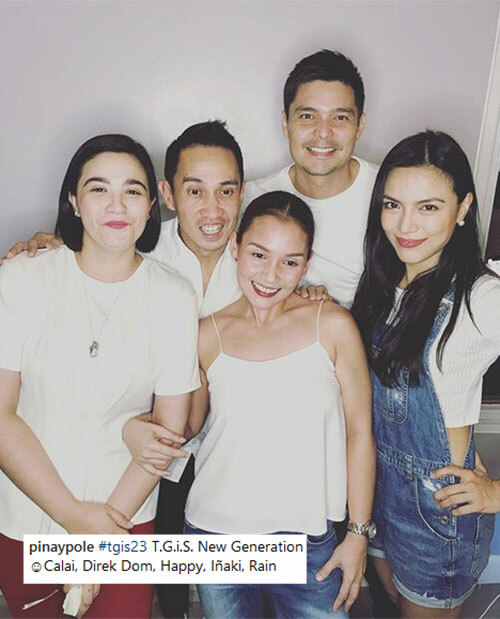 Thank you @pinaypole for hosting lastnight's #TGIS23 reunion! We had soo much fun! Missing @iambobbyandrews @bernadetteallyson_e @uno_111 @redsternberg @ravenskinner1 @dinoguevarraofficial @poloravales @antoinettetaus @annecurtissmith @veroniquecorpus and the rest of the gang!! I think it's time to make a reunion tv/movie project for our tgis fans very soon! 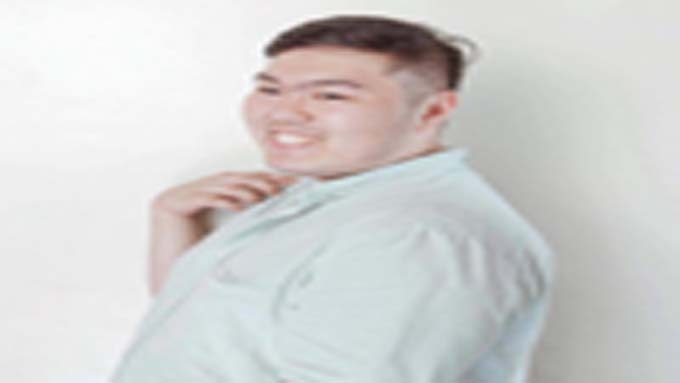 We are claiming it kaya abangan niyo! 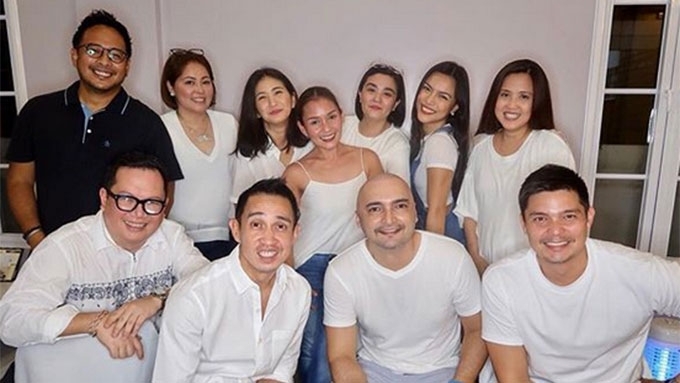 #TGIS23 #THANKGODITSSABADO #batang90s #gma #viva #tgbtg"
The all-white party, so far, was the biggest reunion of TGIS stars and staff in many years. It was the first time that both batches joined forces for a reunion. TGIS celebrated its 23rd anniversary last August 12. Will there be a TGIS reunion project soon?